Of the many occasional evenings that arise in the programmes of London’s intimate cabaret venues, here is one with an interesting concept all of its own. Fiona-Jane, the hostess, offers to share a pot of tea with each of her guests in turn: they are a deliberately mixed bag of established and new acts and/or creatives drawn from across the richly populated terrain of musical entertainment talent. This month’s offering was a case in point. First off, we had the splendid talents of the host herself giving us a super rendition of ‘Words’, with William Godfree on piano; although battling a cold, there was no stopping her, and she set a cracking pace. 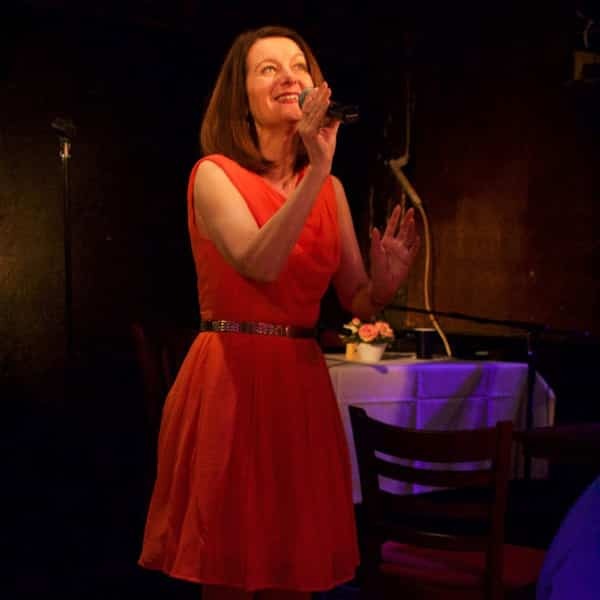 She is a great champion of the songs of Michele Brourman and Amanda McBroom, and this song Titania’s Terrible Truth, was a peach: more was to follow, with an unpubilshed gem. There you have it, then. In miniature, a marvelous insight into the life and work of artists in musical theatre, with something a little bit different about it, drawing a nice crowd, reminding us of things we cherish, and giving us some brand new stuff, too. Who could ask for anything more? Please note: As this event involves a revolving series of artists a decision was made not to award it a review rating. The lack of star rating does not imply that we did not enjoy the show…quite the contrary!